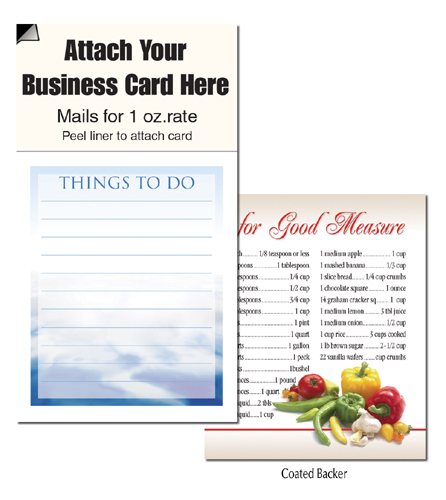 Magnetic Business Card Note Pads-"Clouds"- "Things to do"
* To Personalize, simply peel adhesive liner from magnet and apply business card. * 20 Sheets per pad. * Printed in 4 color process on 20 lb. white bond. * Each pad has a printed backer featuring kitchen measures; stays in place after pad is used. * Overall size is 3.5" x 6.25"